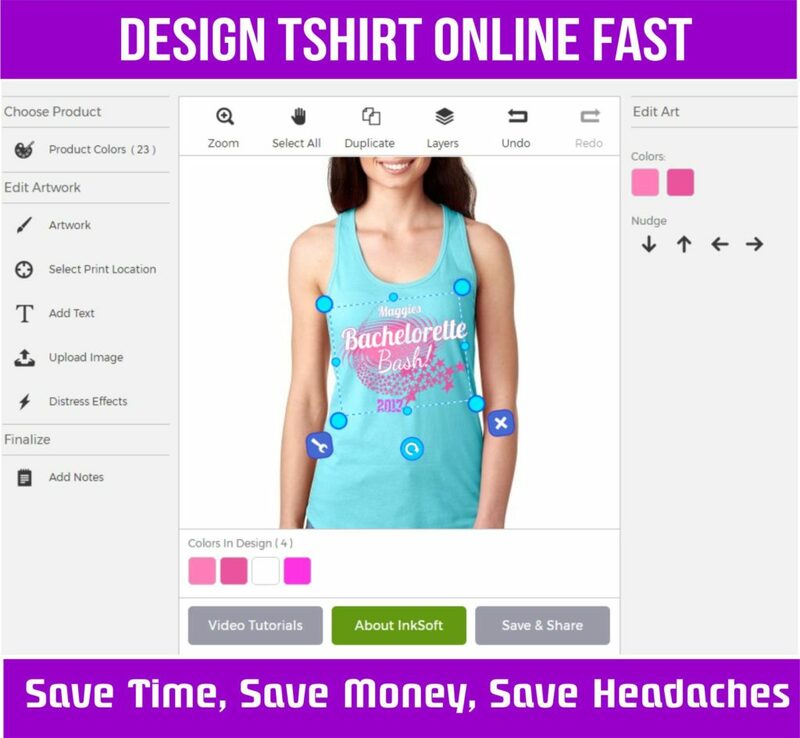 People like the option to be able creat or design tshirt online. In order to get the best bang for your buck we offer a quoting system. Most companies out there have a stock price for an order and being in the screen printing industry for over 20 years, that’s just not really possible. Without boring you with the nuances of the back end of printing. Compare it to going to a car dealership and wanting to buy a car. Each car has a different price based on brand and options. Custom tshirts are no different. What happens is companies have to provide a less than superior product when it comes to a higher end shirt or design compared to a more simple design that has the same price point. For instance, a black t-shirt cannot successfully have any ink color printed directly on it except white or grey ink successfully. In order to screen print say pink ink on black shirts, an under base is required. The only problem is online designers don’t take into accound that additional step when it comes to automatic pricing. This means the customer is getting a pink print on a black shirt directly and the print is not a high quality print. At Kirkwood Trading Company, we do not provide auto quotes. We quote each job as they come over through the online designer. Design tshirt online format allows us to give the best price possible as well as a far superior print. When you want to make your own shirt online, we look at each custom tee shirts on their own and quote accordingly. Design tshirt online is a great fun tool but you’d be best served sticking with a company that will provide an accurate quote. Contact us for the best price on design tshirt online option. You’ll be glad you did.